Your pediatrician sees your child for just 20 minutes every few months or even once a year. 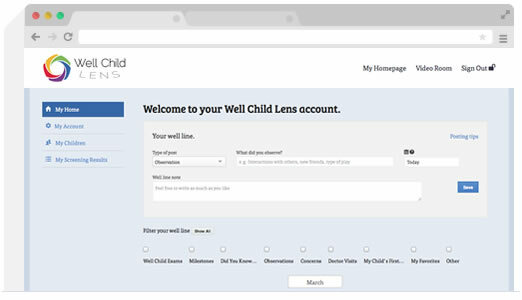 Well Child Lens' personalized and interactive tools are designed to provide you with information during the first 36 months of your child's life. These specialty features, created for parents and caregivers, targets information to your child's age. These tools will help you identify warning signs and missing milestones in your child as well as provide you with a screening tool to evaluate your 16 to 30 month old for autism and offer guidance for next steps, if necessary. The Well Line is a guided journey through the first three years of your child's life, a time of incredible growth. By tracking that growth on the Well Line, you can identify how your child is developing compared to other children. As your child reaches 2, 4, 6, 9, 12, 24 and 36 months, the Well Line automatically brings up video examples of the developmental milestones at those ages. When your child reaches the ages of the recommended pediatric well visits, the Well Line brings up a video of a well visit of a child your child's age, along with friendly reminders to screen for autism at 18 and 24 months. With the Well Line, you can track your child's first steps, first word, even first point. It was great - she crawled right across the living room with a huge smile on her face. 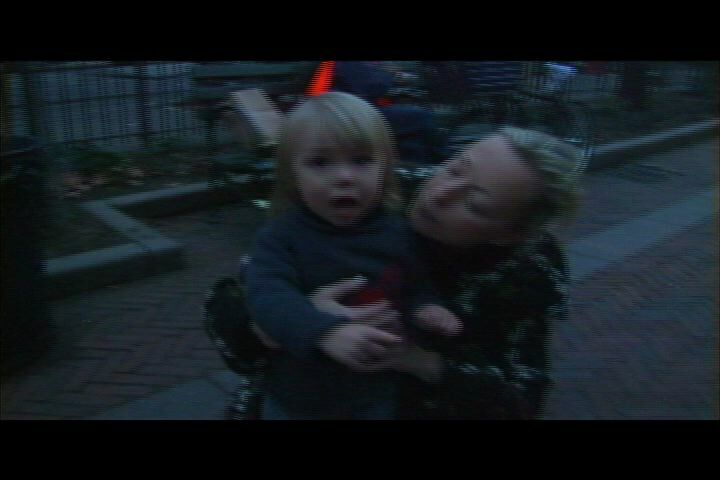 You could see she knew how excited I was. There's a first time for everything. Record all of your child’s firsts—from first smile, to first crawl, to first word and beyond—and add notes for memories that last a lifetime. Your child will visit the pediatrician a lot in the first three years. Use the Well Line to record your notes before, during and after each well visit. You'll be prepared to talk to your child’s doctor every time you go. She has a funny rash on her back, took a picture on my phone in case it clears up. Remember to ask Dr. Smith about this! First meeting with new pre-school teacher. At key times in your child's development, you'll see well visit exams and developmental milestones that help you determine where your child is at compared to children of similar ages. We see Edward, a typically-developing young boy at his 2 month well-child visit. Edward's mother and doctor discuss what milestones Edward has already reached. Dr. Smith discusses how failing to respond to another person's voice is one of the first symptoms that a parent may notice when a child is at risk for autism. 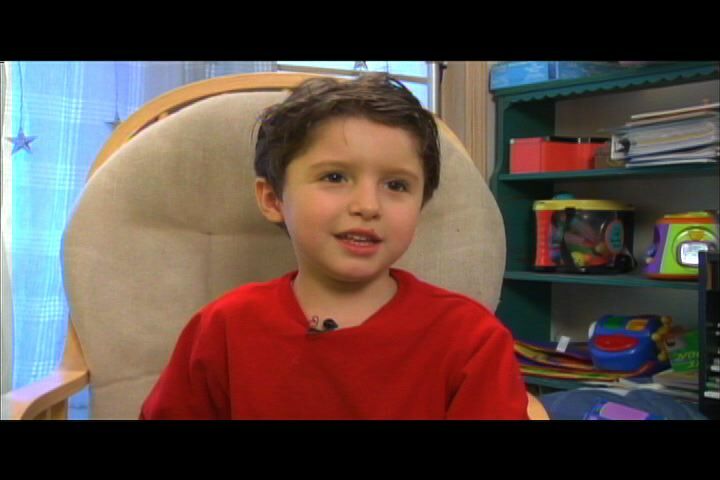 This clip provides several examples of how typically developing children reflexively respond to their name, whereas children with autism often do not respond when someone calls their name despite numerous, varied attempts to gain their attention. Parents and caregivers are often the first to notice if something is wrong. With the Well Line, you can note your observations, struggles and triumphs as your child grows. He just will not go to sleep. Last night I finally gave in and he sat with us in the living room and watched The Late Show. Then we fell asleep while he watched and sucked on his binky. And I don't want to get him hooked on TV either, BTW. "Favorite" any video on the site and it’ll appear on your Well Line so you can find and watch it easily. You can even add a note to remind you why it was important. Together with leading autism experts, we created an interactive screening tool based on the Modified Checklist for Autism in Toddlers (M-CHAT), the clinically validated parent questionnaire used by most pediatric healthcare providers at the 18 and 24 month well visits. It has been designed for toddlers 16 to 30 months of age and contains video examples of the behavior in question. We'll remind you when it's time to screen, guide you through the questions, and provide detailed results that assess your child's risk for autism. We are putting it in your hands, with results to share with your pediatric health care provider. Custom video clips accompany each of the 20 questions in the screening tool. Our detailed video examples of early childhood behavior help clarify the question so that you answer more accurately. Does your child copy what you do? Our smart screener guides your through the questions and provides comprehensive results for you to share with your child's pediatrician. We also provide follow up videos based on your responses that help you further understand early childhood development and take action if your child is at risk for developmental delays. The result of each screening is saved in your profile on our secure server. You can share the results with your doctor or therapists through secure links, so that the results are always available to you and your healthcare providers. Simply enter your details below and we will create your account for you in a matter of seconds. If you are a professional looking to access the doctor's tool and CME courses please click here to register. GeneticaLens does not knowingly collect personal information provided from children under 13 through any GeneticaLens web portal. If GeneticaLens learns that it has collected the personal information from a child under 13 through a GeneticaLens web portal, GeneticaLens will take steps to delete the information as soon as possible. GeneticaLens receives and maintains personally identifiable information provided by registered users, such as your email address, name, home or work address or telephone number. GeneticaLens also receives and maintains anonymous demographic information, which is not unique to you, such as your ZIP code, age, gender, preferences, interests and favorites. When using the GeneticaLens Service, you are likely to access health-related information about you that is stored with GeneticaLens, and such information will then be available to GeneticaLens. We may collect information about your interaction with the Websites. For example, we will use web site analytic tools on the Websites to retrieve information from your browser, including the site you came from, the search engine(s) and the keywords you used to find the Websites, the pages you view within the Websites, and your browser's width and height. We will also use technologies, such as cookies and web beacons to collect information about the pages you view, the links you click and other actions you take on the Websites. Additionally, we collect certain standard information that your browser sends to every web site you visit, such as your IP address, browser type and language, access times and referring web site addresses. GeneticaLens collects and uses your personal information to operate the GeneticaLens websites and deliver the services you have requested. GeneticaLens does not sell, rent or lease its customer lists to third parties. GeneticaLens may share data with trusted partners to help us perform statistical analysis, send you email or postal mail, or provide customer support. All such third parties are prohibited from using your personal information except to provide these services to GeneticaLens, and they are required to maintain the confidentiality of your information. GeneticaLens does not use or disclose sensitive personal information, such as race, religion, or political affiliations, without your explicit consent. GeneticaLens Websites will disclose your personal information, without notice, only if required to do so by law or in the good faith belief that such action is necessary to: (a) conform to the edicts of the law or comply with legal process served on GeneticaLens or the site; (b) protect and defend the rights or property of GeneticaLens; and (c) act under exigent circumstances to protect the personal safety of users of GeneticaLens, or the public. In order to access certain areas on our Websites you must first complete certain steps to become either a registered user or a subscriber. During these steps, you may be required to provide us with information (including Personally Identifiable Information) such as name, zip code and email address. This information is used to help us understand who uses our Websites, to operate and improve our Websites, and to deliver the services or carry out the transactions you have requested. The only information that GeneticaLens maintains about you is information that you provide on our Websites, which you may access at any time. The GeneticaLens website uses "cookies" to ensure the integrity of the registration process and to help you personalize your online experience. A cookie is a text file that is placed on your hard disk by a Web page server. Cookies cannot be used to run programs or deliver viruses to your computer. Cookies are uniquely assigned to you, and can only be read by a web server in the domain that issued the cookie to you. One of the primary purposes of cookies is to provide a convenience feature to save you time. The cookie tells the Web server that you have returned to a specific page. For example, if you personalize GeneticaLens pages, or register with a GeneticaLens Web site or services, a cookie helps GeneticaLens recall your specific information on subsequent visits. This simplifies the process of recording your personal information, such as billing addresses, shipping addresses, and so on. When you return to the same GeneticaLens Web site, the information you previously provided can be retrieved, so you can easily use the GeneticaLens features that you customized. You have the ability to accept or decline cookies. Most Web browsers automatically accept cookies, but you can usually modify your browser setting to decline cookies if you prefer. If you choose to decline cookies, you may not be able to fully experience the interactive features of the GeneticaLens services or Websites you visit. GeneticaLens web pages may contain electronic images known as web beacons--sometimes called single-pixel GIFs--that may be used to assist in delivering cookies on our sites and allow us to count users who have visited those pages and to deliver co-branded services. GeneticaLens may also employ web beacons from third parties in order to help us compile aggregated statistics and determine the effectiveness of our promotional campaigns. We prohibit web beacons on our sites from being used by third parties to collect or access your personal information. GeneticaLens is committed to protecting the security of your personal information. GeneticaLens secures the personally identifiable information you provide on computer servers in a controlled, secure environment, protected from unauthorized access, use or disclosure. When personal information is transmitted by GeneticaLens to other websites, it is protected through GeneticaLens's use of encryption, such as the Secure Socket Layer (SSL) protocol. As we develop our business, we may buy or sell assets and, depending on the transaction, your personally identifiable information may be one of the transferred assets. In the event that we are acquired by another company, your personally identifiable information may be part of the assets transferred to the acquiring party. If this occurs, you will be notified if there are any material changes to the way your personally identifiable information is collected or used. This document was last amended on September 1, 2011.